Oy Vey. 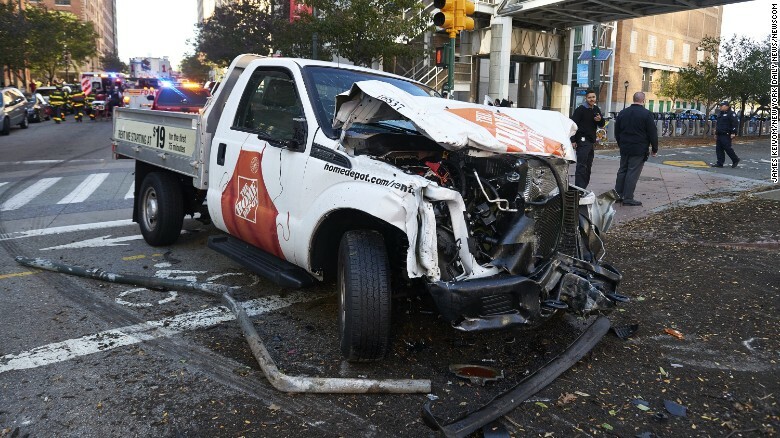 It is a pleasant autumn afternoon and you are riding your bike down a path in lower Manhattan and a nut job in a rented truck just mows you down. As of now, 8 have died while 11 were injured in this apparent terrorist attack. It is just impossible to guard against something like this. Now cars and trucks are being used as weapons of mass destruction. Prayers for the families of the victims. This is a very rare day as I never left the apartment as the rain was so heavy. I wouldn't send out a dog on a day like this. I was a little tired today as my approaching retirement is causing some anxiety. Last night we went out to dinner at Ben's Deli in Bayside. As we were eating Curtis Sliwa and a couple of other Guardian Angels came in to dine. I have not seen the Guardian Angels on the subways in many years. Some years back I saw Curtis near Union Square and said hello to him. He just smiled back. A year or so ago I saw him on the platform at Newark Penn Station. Tomorrow, the Science Librarians Meetup, formerly known as a Special Interest Group is meeting at METRO's new headquarters at 11th Avenue and 45th Street. It will be my last meeting as its convener. After work last night I headed over to the Prudential Center where I met Karen and Lee. The Ottawa Senators scored the first two goals but then the Devils scored 4 unanswered goals to take a 4-2 lead. With about 2 1/2 minutes left in regulation, the Senators pulled their goalie and then scored with about 90 seconds to go and again with 37 seconds left to tie the game. No goals were scored in the 5-minute overtime period necessitating a shootout. Drew Stafford and Jesper Bratt scored in the shootout giving the Devils a 5-4 victory. My Blue Heaven - we sang this to Lee when he was a baby as he has blue eyes. Here we go again as the media is really blowing out of proportion the story of movie mogul Harvey Weinstein sexually abusing women. Do I really have to see and read about this every day? Does it affect me? I guess it builds up rating points for the local and network newscasts. I was watching the ABC News with David Muir tonight when there was a story about a police officer in Skokie, Illinois buying a gym membership for a kid after he was caught trespassing in that gym since he could not afford the membership fee. Is this appropriate for a national newscast? I would rather hear about a police officer buying food for a family that is starving. 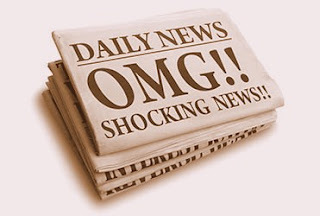 Sometimes I wonder why I watch TV news. There were several reports today including The New York Times stating the Mickey Callaway, pitching coach of the Cleveland Indians, will be hired as Mets manager. The details are in the Times article so it is not necessary to repeat them. I never heard of him until today. Is it advisable to hire someone with no managerial experience? I have to wish him luck as he assumes the position. The manager alone can't be blamed for the poor performance of the team. The manager can't prevent injuries. Usually, after the World Series, there is a flurry of activity. Players can declare free agency and sign with other teams. Who will the Mets retain or what if any free agents will they sign? 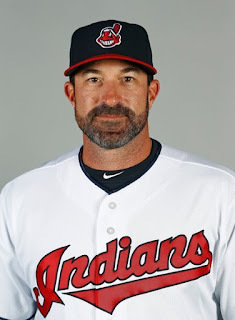 I assume that Mickey Callaway will hire a completely new coaching staff. People at work have asked me how many days left? December 22 will be my last day of work, but I am not counting down the days as others have. 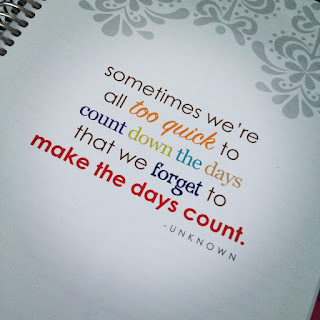 I feel it just makes the time pass slower. I am trying to enjoy myself as much as I can my last months at work. It is very hard to be happy when I no longer enjoy the work that I do. It was "same old same old" for all too long. The numerous personality problems at work sadden me. My late Dad always told me "This too shall pass." An explanation will be coming on or about December 22, 2017. Endless Love by Lionel Ritchie and Diana Ross was our wedding song. Karen picked it all those years ago. October 15 is the birthday of Roy Herschaft who easily New York City Culture's best friend. As he is retired for over 10 years he enjoys opera, ballet, concerts, theater, and movies. While he is out enjoying himself he records cultural programs on Channel 13. I met Roy all those years ago when we were students at Forest Hills High School. We used to walk along Saunders Street in Rego Park and then down 67th Avenue to school. The topic of conversation was often the WMCA and WABC music surveys. By the way, today is also the 12th anniversary of Bruce's Journal. 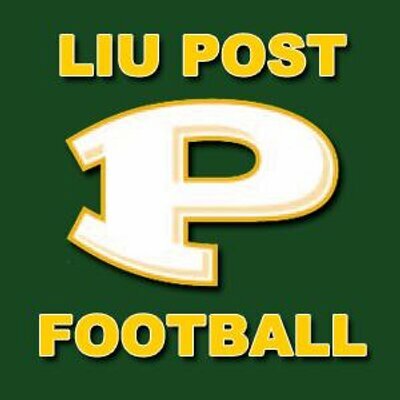 It was cloudy and dreary in the morning, but the weather cleared up in the afternoon so we drove up to the LIU Post campus in Brookville to see college football. Most of the Division II games that we have seen there have been high scoring. I guess it is difficult to organize defensive strategies. The 87 points for the two schools meant 12 touchdowns and 1 field goal was scored. 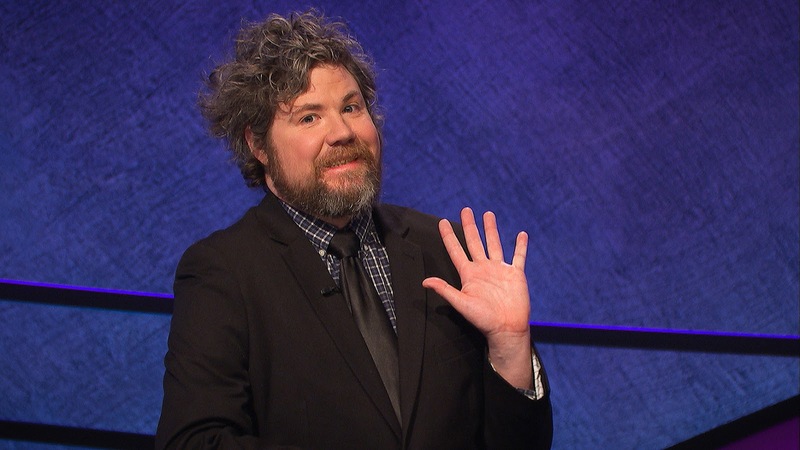 Austin Rogers lost on Jeopardy last night, thus he is leaving after 12 victories and obviously will return for the Tournament of Champions. There is always a luck factor in Jeopardy with the categories, questions, and competition. It will be the Yankees playing the Astros in the ALCS and the Dodgers against the Cubs in the NLCS. In a short series, anything can happen. Baseball games are long enough, but they are longer in the postseason. If the games will start at 8 PM, I will likely be unable to stay up for the entire game. I am taking a vacation day as I lose any accrued vacation time that I have when I retire at the end of December. Today, Austin Rogers, a bartender from New York City won his 12th game and has amassed winnings of $411,000. Most of his victories have been runaways. How far will he go? Of course, Ken Jennings with winnings of over $2,000,000 in 74 victories is the all-time winner. He usually bets big bucks on Daily Doubles and gets it right. You never know when the categories will not be in his areas of expertise or when he will lose big on a Daily Double. One game at a time. 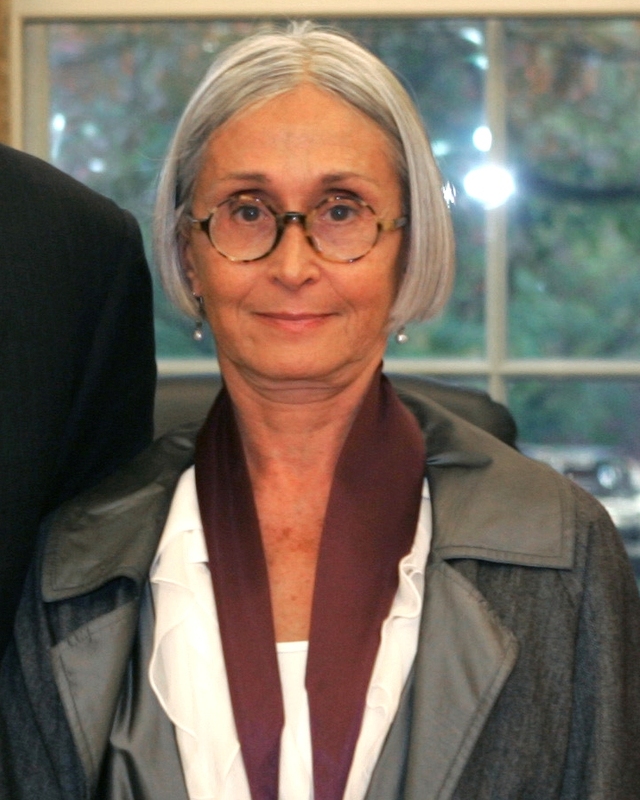 Woman was on the Double Fantasy album which was released shortly before his death. Today is the 77th anniversary of his birth. We will never know what songs he would have written if he had lived. Would there have been a reunion of the 4 Beatles? Would he have collaborated with Elton John, Bob Dylan or anyone else? RIP John. You left us some wonderful songs as a Beatle and a solo performer. 18 members of FHHS Class of 1967 and 5 spouses came to a reunion at Ben's Deli in Manhattan today. Mike Seidman and I ran it the same way as we do for the oldies meets and greets as we have done over many years. Sometimes a small gathering is better as you can talk to everyone sometime during the event. Other high school reunions in the past were very large with loud music making it difficult to communicate. Sadly, many of classmates have passed away. I certainly did not expect people to come from afar to attend a short gathering. It inexpensive and easy to organize. The feedback I received was very positive. This was actually a Gene Clark song that was released as a single in the mid-1960s and really should have been a bigger hit and has appeared on Rich Appel's surveys. The 12th Annual Meet and Greet of Oldies Radio Enthusiasts will take place Saturday November 11 from 2 PM – 4 PM at Ben's Deli 209 West 38thStreet, New York, NY. Our gatherings in the past have attracted from 60 – 80 people. In the past radio personalities including Ken Dashow, Big Jay Sorensen, Broadway Bill Lee, Pat St. John, Sue O'Neal, Jim Kerr, and Carol Miller have attended. This year we have invited Ken Dashow host of the Beatles show on Q-104.3 and as of now he plans to attend. Bob Radil of Rewound Radio and Cool Bobby B of SiriusXM 50s on 5 are likely to attend. Louise Murray of the Jaynetts has come to some of our events in the past .We will announce if radio or music personalities are coming. The cost will be $19 per person which includes tax, dessert and gratuities. You must order a meal. We are making these changes so that people will get their food faster and there will no problems with splitting the check since everyone pays the same price. Yesterday I heard the terrible news that Tom Petty had passed away at age 66. He certainly made a tremendous contribution to rock music since the late 1970s. Back in 1986, I saw him back up Bob Dylan at Madison Square Garden. Tom Petty and Bob Dylan's paths crossed again in the late 1980s when they played together as the Traveling Wilburys. One of my favorites was End of the Line as seen above. It is sad that 3 of the 5 members of that supergroup have passed away. Jeff Lynne and Bob Dylan are the only survivors. I just can't say anything different about the tragedy in Las Vegas. The report on ABC News said that the gunman obtained the guns legally, so changing the laws is not the solution. What is next? People are trying to enjoy a concert and get gunned down. Whenever I pass through Penn Station in NYC and Newark I am grateful to see police and National Guard troops since a mass transit hub is a prime target for an active shooter situation. My best wishes for speedy recoveries to those injured and condolences to the families of the deceased. We went over to the Joyce Theater on 8th Avenue and 19th street to see her group perform. I am not qualified to critique dance so I'll refer my readers to the review in the New York Times. The first performance was called the Raggedy Dances which featured a pianist playing ragtime music. The second act was The Fugue with no music at all. Both of those programs were first done in the early 1970s. There was a new piece called Entr'acte where Twyla Tharp appeared in a sweat short and danced with her troupe while talking to her dancers. She danced very well for a 76-year-old. When the dancers performed to Lovesick I really thought that someone would appear as "Soy Bomb" as seen below from the 1998 Grammy Awards Ceremony. It didn't happen today.